Is the Cygnus Radio range good enough for my construction site? 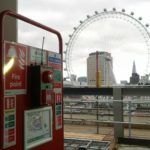 Majority of construction sites select wireless options for their temporary fire alarm systems which are radio linked to each other and are battery powered. 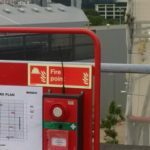 Depending on the type of construction and its immediate surroundings, the required radio signal range for a fire alarm will vary. 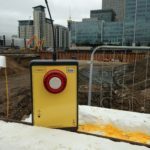 For instance, on a construction site with buildings constructed of steel and concrete the radio signal range will be lowered and may even be broken. 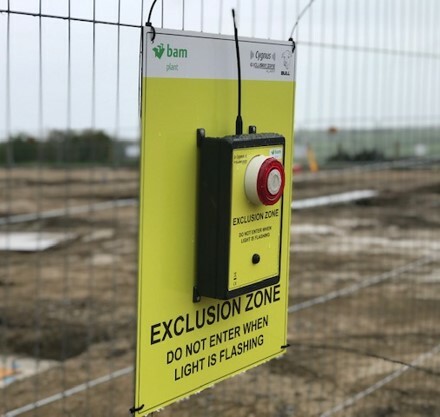 Obstacles around sites can cause interruptions reducing signal connections between alarms; for example large storage containers, building materials, machinery and even other local signals around the site will reduce the connectivity and could potentially block the radio signal. However, the Cygnus radio far exceeds systems of its kind with the powerful Class 1 radio range and conforms to EN 300 220-1. The use of high performance category 1 radios ensures maximum range, even when other strong local signals are existent. 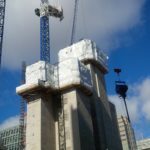 The Cygnus System was specifically designed to be used in areas of dense concrete and steel structured buildings which is still a very common construction method. Precise attention was given to attaining an extremely long range connection. 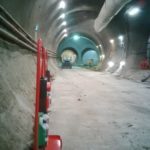 Signal range tests have been carried out on large projects and have proved the signal is exceptionally resilient, open air tests have showed that connectivity can be made at a distance over 1.5km. Whilst this range of 1.5km is not guaranteed due to limiting obstacles, the Cygnus system can work in complex environments and covers impressive distances. This is due to its meshing system technology which allows devices to connect through one another and not straight to the control panel. If the signal between 2 units is struggling to connect due to large obstacles then the connection is made via another unit that is within connectivity of both units. 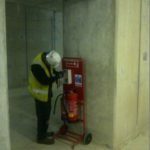 There have been many large construction projects where only the Cygnus Alarm System has solved interruption issues. 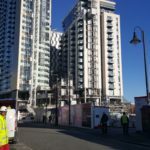 One particularly complex project which had experienced of large volumes of interruptions and loss of connectivity; removed the alarm system that had been installed and installed Cygnus instead. 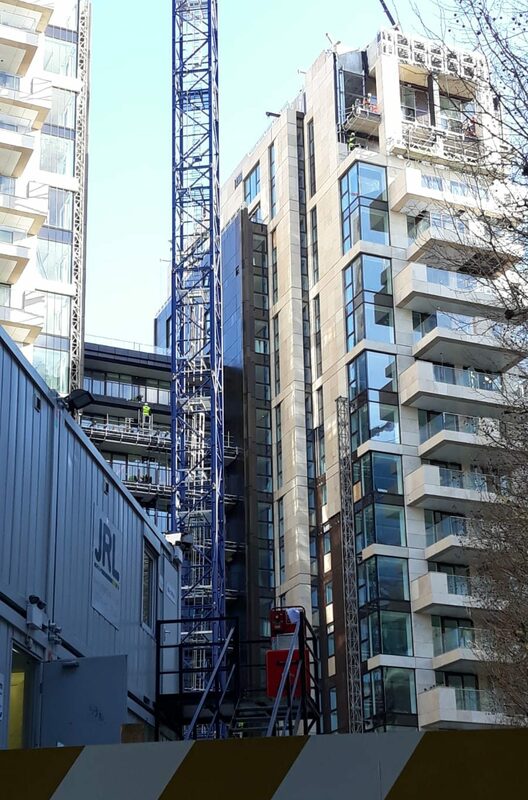 Needless to say, the signal now remains uninterrupted and is currently ensuring the safety of the workers on that site, giving authority’s peace of mind that the alarm is working correctly and effectively.